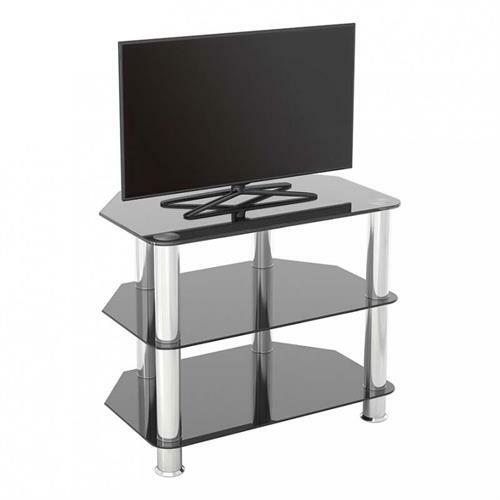 More on the AVF SDC Series Black Glass 32 inch Corner TV Stand (Chrome) SDC600-A below. The AVF SDC600-A is a super easy to construct, contemporary, and versatile solution for your home entertainment needs. 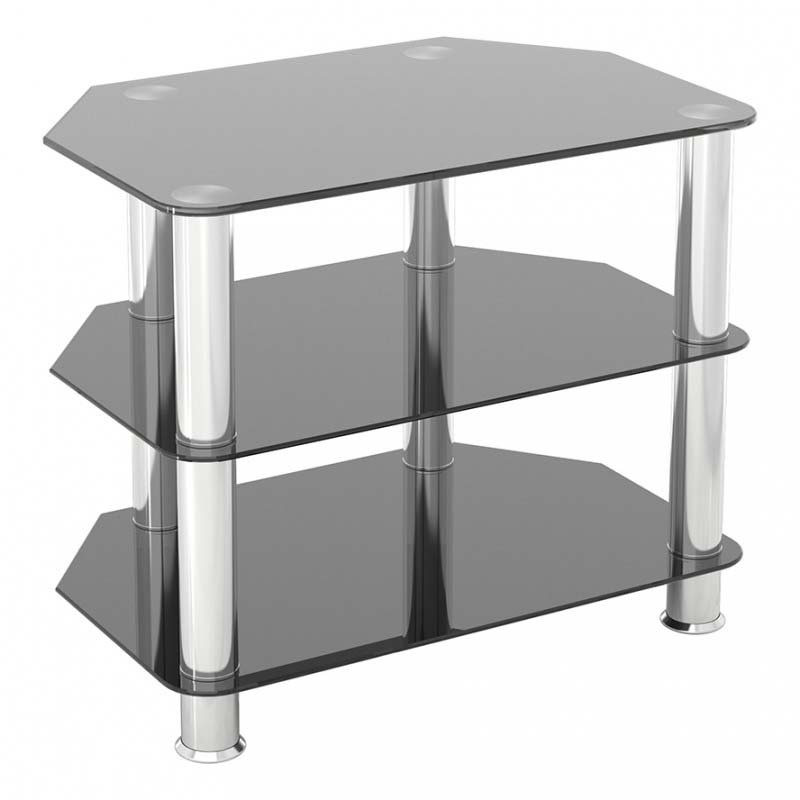 The black tempered safety glass and durable stainless steel legs modernize any space while the angled corners save valuable space when placed into a corner of your room. Arrange your various AV components on the middle and bottom shelves. This TV stand supports most flat panel TVs up to 32 inches and up to 77 pounds (top shelf). Angled corners provide multiple room placement options including into corners or flat against a wall in order to maximize space and enhance viewing angles. 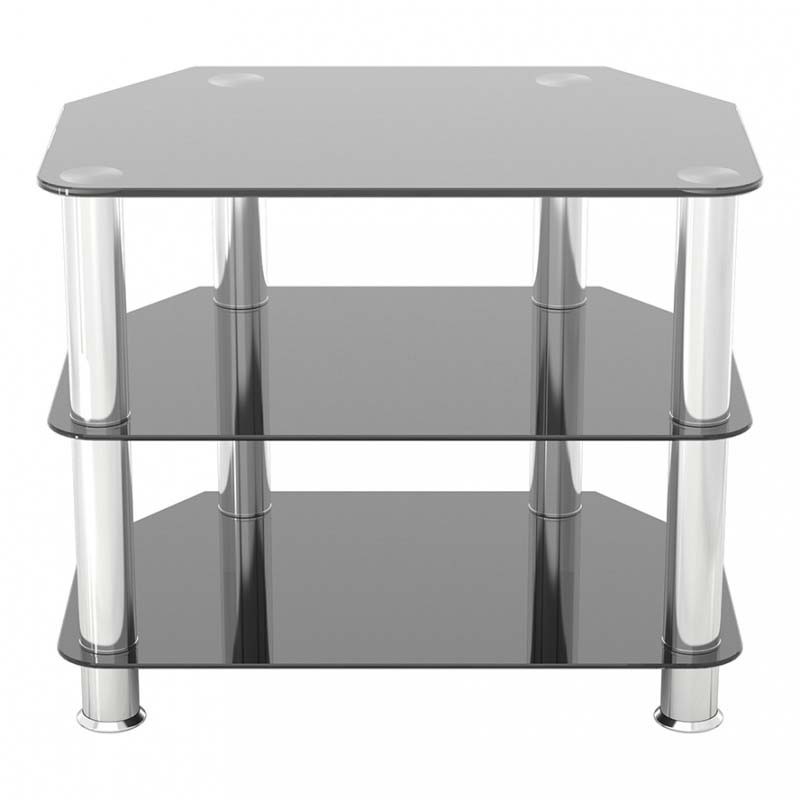 Arrange your various audio video components and electronics on the middle and bottom shelves, which hold up to 44 lbs. each. Click here for the Technical Sheet.